Cassette type fixed sprocket to fit the Miche carrier. Plated steel, can be reversed to extend lifespan. 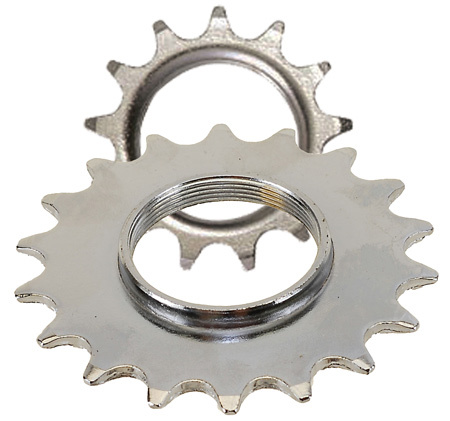 Chrome plated hardened steel standard track sprocket with thread. Fits most current track hubs. Shimano standard left hand thread, with notches for hook spanner. Original spare part to fit Miche Pista and Express hubs. Miche sprocket carrier not included. Sprocket carrier for Miche cassette type fixed sprockets. 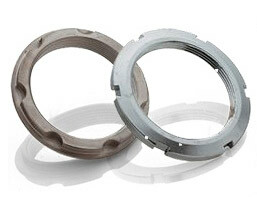 Allows quick gearing change without the need of a chain whip.